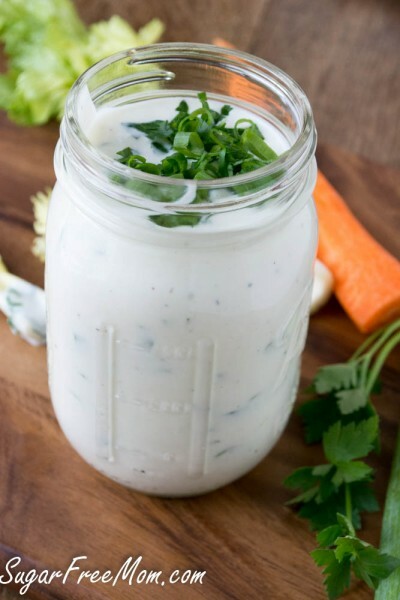 Mayo Free Ranch Dressing that is egg, soy and sugar free is simple to make and the flavor is spot on to store bought! 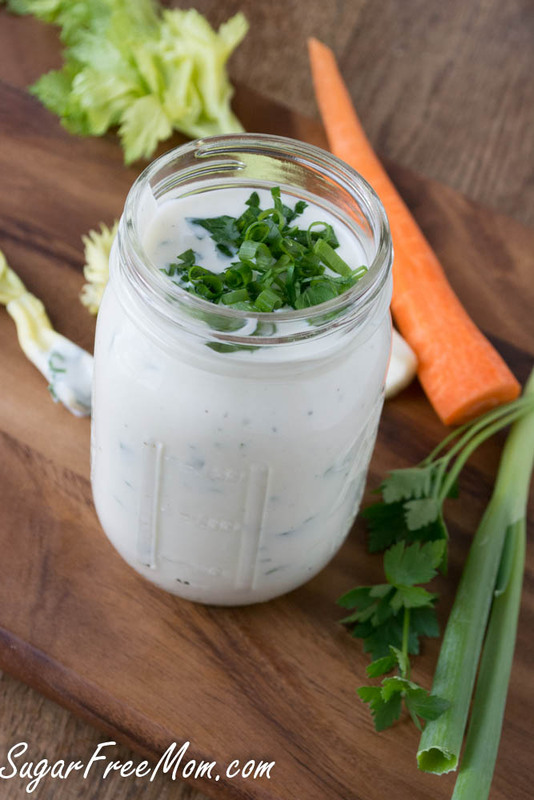 A ranch dressing that doesn’t contain mayo, soybean oil or sugar is often hard to come by. 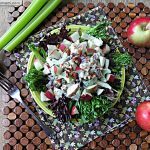 If you or a family member has food allergies making it at home is the best solution. 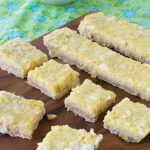 It’s not only cost effective, but has no preservatives and is really quite fast and easy to make at home. Because this recipe doesn’t contain any mayonnaise, it is also egg free. My oldest loves ranch and used to eat it frequently until we discovered he had a soy allergy along with a peanut allergy. Soybean oil seems to be prevalent in many store bought products. 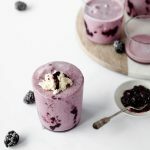 Of course you could purchase a healthy organic (expensive) version online, but sometimes we run low on something and purchasing online isn’t an option, we need it now, right? 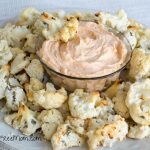 I wrote a review from another blogger for a yummy ranch dressing about a year ago, but I wanted my own version to be mayo free. And here it is! Picky Kid Approved!! This dressing was liked by all 3! 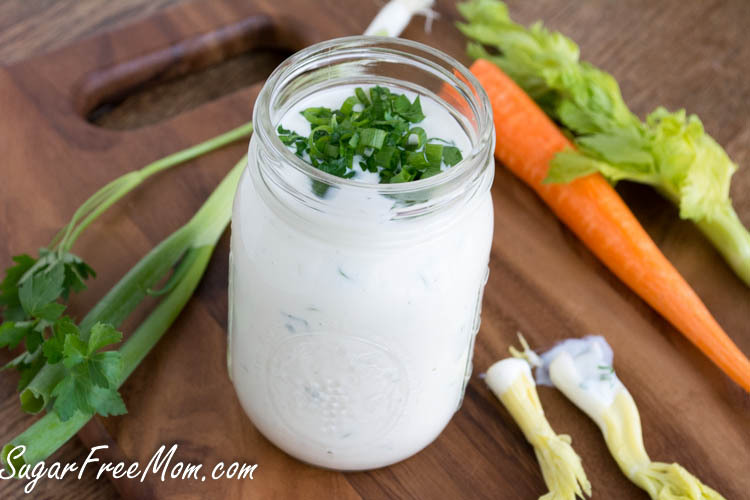 If my 3 picky kids who are ranch connoisseurs enjoy this dressing I think yours will too! 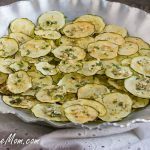 This recipe lasts about a week in my house as my kiddies love to dip everything in ranch dressing, all meats and veggies pretty much! You could always cut the recipe in half if it’s just too much dressing for a week in your own house. Or double if you have a lot of ranch dressing fiends! If your kiddies aren’t fond of seeing anything green in their ranch dressing just leave out the scallions and parsley. I do not recommend using a light sour cream, the taste is just not there. 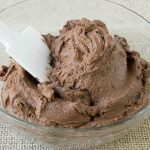 I used 2% Greek yogurt but you could reduce the fat in the recipe by using a nonfat. I used 1% milk because my oldest drinks it and that’s what we have at home but feel free to use a whole milk or 2%. I definitely feel the extra virgin olive oil gives it a creamy smooth mouth feel so I don’t recommend changing it to another oil or leaving it out. Mix all ingredients together until smooth. Taste and adjust salt and pepper if needed. Refrigerate until ready to serve. 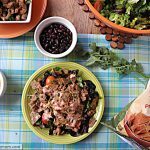 Great recipe Brenda – and so much better than store bought! Sounds great, can’t wait to try it. 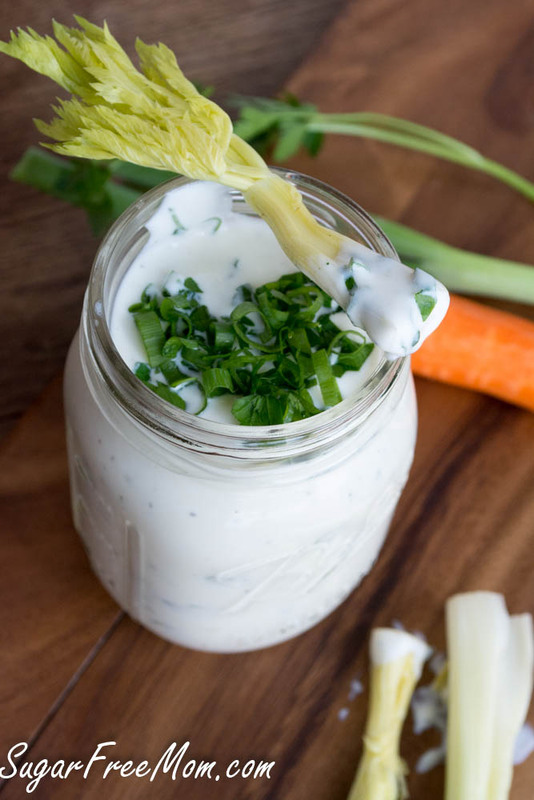 We all love ranch in our house, too, but would love to avoid some of those ingredients. Will be sharing also! I gained a bit of weight after baby n.2 and it didnt seem to wanna go away, but I crave all sorts of things and frankly I just couldnt shake some of them off. 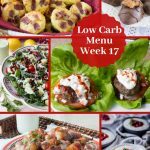 I then stumbled upon all these healthier ways to make my favorite foods, so I started to try them and realized its not the extra fat, grease,…etc. that I need its just the right foods with the right seasoning. All I changed about this recipe was I added a bit of oregano and basil ummmmmmmmm the result was AMAZING. 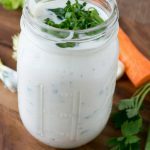 I’ve been looking for a clean ranch dressing for a while, and have tried a few recipes. I like yours the best!! My kids said. “It tastes like ranch!” That’s a winner in my book. Woot woot! That makes me so happy thank you! 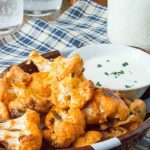 Thank you so much – my youngest has an egg allergy and I’ve been meaning to make Ranch for him. We’ll give this a try – it looks delish! Just tried this for my daughter who loves Ranch dressing but needs to go egg- and corn-free for a while. It is excellent–thank you so much for posting! One question: have you ever tried using buttermilk in place of the Greek yogurt and/or milk? I like mine more as a dip, so I think I’ll skip the milk next time. 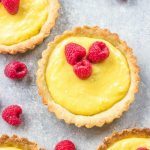 A fantastic recipe! My little one can’t have egg or refined sugar, and he absolutely gobbled it up. Fyi, most garlic salts have soy added to them. Be sure to check the ingredients list on it first!!! I cut the recipe in half I didn’t use white wine vinegar but apple cider vinegar and it ended out not tasting very good. HELP!! I would imagine the apple cider vinegar you used might have curdled the Greek yogurt.